Teen Titans: The Judas Contract Blu-Ray Review - Are You Screening? 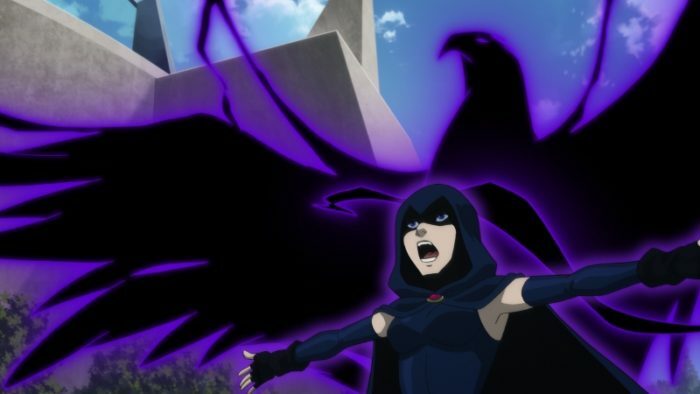 Teen Titans: The Judas Contract is the latest installment in the lives of the superhero group that connects to much of the DC Universe and has hit screens in a variety of ways. The darker realm of the Titans continues with newcomer Terra (Christina Ricci) and a menacing threat unlike anything the Titans have faced before. 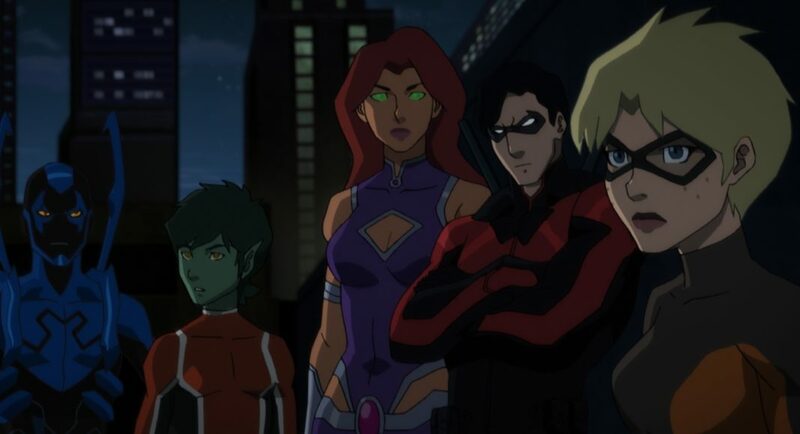 The film opens with a trip back in time to when members of the Teen Titans met Starfire (Kari Wahlgren), then quickly jumps us to the present with Starfire and Nightwing (Sean Maher) running the show, and in a relationship that makes the brooding crew uncomfortable. The gang is still adjusting to Terra, and Nightwing is still adjusting to returning, but they don’t have time to hang around in the giant T building because there’s a new villain out there, Brother Blood (Gregg Henry), and though we might not know exactly what he’s plotting, it’s nothing good. Meanwhile, Deathstroke (Miguel Ferrer) is popping up (see video below), which can’t be a good thing either. The problem with a story like this, and any ensemble superhero effort, is that it can occasionally get bogged down in the requirements. That definitely happens here, as we not only trip up on the relationship with Terra and Beast Boy (Brandon Soo Hoo), but also spin around fight scenes aimed at giving everyone a chance to show off. There’s nothing terrible about watching Raven (Taissa Farmiga) and Blue Beetle (Jake T. Austin) flex their bizarre muscles, but some of the plot steps feel like they’re constructed-by-numbers as opposed to being the result of an effort to relay story. Still, the pros outweigh the cons in this adventure, and the team does need a chance to develop its individuals. Terra’s ultimate direction may be overly telegraphed, and everyone involved may be more indestructible than is necessary, but our team gets the chance to take on a variety of dangers, many of which you can’t just punch in the face. The film also features some great themes and manages to deliver on them. In a sense, it might have just been titled Teen Titans: Terra, because everything moves through or around her, and getting a serious examination of her character is about as solid an effort as you could hope for. Put that together with the fact that Raven lets loose, and you get enough time away from the action to make this is a very successful trip with the Titans. The release comes with some great bonuses, including a sneak peek of Batman and Harley Quinn, the next DC Universe Original Movie. You also get a featurette, Titanic Minds: Wolfman and Perez, which lets you know that this isn’t exactly aimed at a younger crowd. Sure, the content is dark and not exactly for the same audience as the two bonus episodes of the Teen Titans cartoon (which feature Terra), but sitting down with two aging artists to relive their careers takes a serious fan. It’s a great bonus, and if you’re interested in the thought process that went into creating/expanding some of these heroes, you’re in for a treat, but it’s like a niche within a niche here. You also get a featurette on Deathstroke which covers his origin and abilities. Those who watch the film without a real familiarity with this particular villain might be very interested to take this tour, and it’s put together well, because the movie makes him seem like Superman with a gun. Of course, the movie could do with some explanation about everyone really.